Linda is a mover and a shaker. When she sees the need to make things happen, she can shake things up when people forget to question and search for new answers. She is a multi-talented intellectual, with a passion for Māori development and has numerous connections across the country and around the globe to assist her. She is a formidable leader – whether from the front, middle or back, she can make things happen. Born in Rotorua, Linda is the second child of four to Tamararo and Makere. Through their teachings, Linda was given the confidence to move in both the Pākehā and the Māori worlds easily. When she arrived at the University of Waikato as a student, her original plan was to study mathematics, but quickly found her skills and talents better utilised elsewhere. 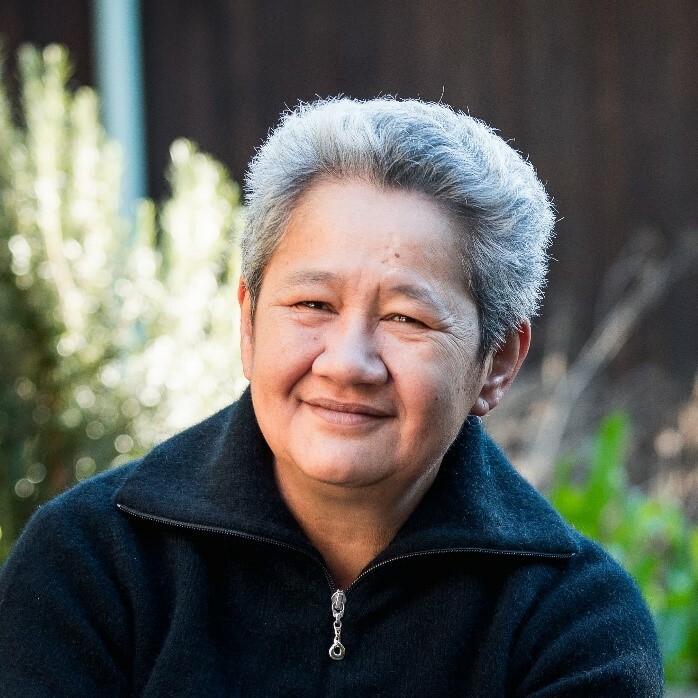 Under the mentorship of James and Jane Ritchie, while enrolled in her master’s degree, Linda was the first Māori in New Zealand appointed to a continuing academic position in psychology. Since that time Linda has been instrumental in re-shaping psychology at Waikato, in New Zealand, and internationally. Her first port of call was to band a small group of psychologists together to embed, previously missing, recognition of Treaty of Waitangi obligations and responsibilities into the rules of the New Zealand Psychological Society. The formal establishment, and funding, of the National Standing Committee on Bicultural Issues (NSCBI), emerged as a result. The NSCBI continues to build on the strong foundation set from its beginning. Linda’s foresight and leadership were acknowledged when she was made an Honorary Fellow of the New Zealand Psychological Society in recognition of her contribution to the bicultural development of the Society and its membership. Another example of Linda’s leadership is evident in her stewardship of the Māori & Psychology Research Unit (MPRU) for 20 years. In the competitive and contestable funding arena, Linda drove the MPRU to develop and maintain research excellence. The MPRU enjoys a strong reputation for inclusion and participation, with researchers and students beyond Waikato University. Alongside MPRU colleagues, Linda successfully won and managed to completion externally funded research projects in excess of $7 million on topics about Māori health, development, culture change and resilience, death, indigenous psychology, homelessness, energy conservation, epilepsy, Māori sexuality, and media representations. Funders include national and local government tenders and grants from the Health Research Council, the Marsden Fund - Royal Society of New Zealand, the Foundation of Research, Science & Technology, and Ngā Pae o te Māramatanga - New Zealand's Māori Centre of Research Excellence. Such significant external funding has provided numerous doctoral and post-graduate stipends and fee-paying scholarships. It has also allowed community partners the necessary resources to participate in research activities and, most importantly, to engage with the academy. Linda’s energy in the academy are equally balanced with her efforts in the community. She is an engaged tribal member of Te Aitanga-a-Hauiti and Tuhoe iwi and makes ongoing contributions to iwi activities. In 2007, through tribal elections, she became a trustee for the Tuhoe Fish Charitable Trust (TFCT) for a three-year term where she established policy for the distribution of fish to Tangi held on Tuhoe marae. She drafted a policy for the distribution of grants to tribal members and chaired the distributions sub-committee, assessed and ranked applications and administered the transfer of funds. She wrote the terms of reference for the TFCTs nomination and election review. She also supported the Tuhoe Business Development Summit initiated by TFCT to stimulate business growth. One of Linda’s highlights is her work on the Ngā Taonga o Te Urewera report where she, alongside Emeritus Professor Ngahuia Te Awekotuku, argued and recommended to the Waitangi Tribunal, the joint management of the Te Urewera National Park with Tuhoe. That recommendation was responded to in 2014 when the Te Urewera-Tuhoe Bill was passed into legislation. Linda has her sights set on a long-term vision for change in the future generations to come. She also has the skills, experience and commitment to cause actions now that spark a chain of events that lead towards change. She is presently a Professor of Indigenous Studies at the University of Auckland where she is also a Co-Director of Ngā Pae o te Māramatanga, New Zealand’s Māori Centre of Research Excellence.